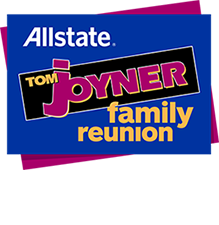 To book your reservations for the Tom Joyner Family Reunion and get more information, please call 407-248-9191 or email: Familyreunion@reachmediainc.com. All itineraries, times, venues, performances, appearances and locations are subject to change without notice. Hello- tried to call several times to book and did not receive an answer.. Please contact me @ 706)-393-0462 Syletha and (706)-662-6764 is Aretha thanks! Hello- tried to call several times to book and did not receive an answer.. Please contact me @ 706)-393-0462 Syletha and (706)-662-6764 and Aretha thanks! Well there be a family reunion in 2019 and if so when will the rates for booking be posted? I hope this note finds you well. I am writing in hopes of finding the appropriate person who handles marketing? If it makes sense to talk, let me know how your availability looks. Funnel Ignition is an online marketing agency that helps businesses grow by setting up an effective online presence via websites and automated systems that attract highly qualified prospects. We accomplish this by creating websites designed to engage and capture your visitors information, build a targeted email list, generate more traffic and sales through systems designed to do the heavy lifting for you. In short, we help automate the online sales process and stop the tech overwhelm by using our proven marketing tools and strategies to grow your business. I have prepared a FREE Website Analysis report. This is for you, completely free of charge as a easy but effective way of providing value to your business from the get go, no strings attached. Simply reply back ‘YES, send me the report” and expect to hear from us soon. We will analyze and report back to you our findings and create a custom tailored strategy to improve your website experience for your clients, which will ultimately result in more leads and sales for your business. In the meantime, I’d love to learn more about your business goals and see if Funnel Ignition can help you in any way. We have found that a great way to maximize the Free Website Analysis Report is to schedule a call to discuss your options in more detail. Click Here https://meetme.so/AlexGuillen To Book A Call or simply reply back with your phone number and the best time to call you. Looking forward to hearing with you. PLUS you also get your welcome bonus on top of this! Are tickets available for the Saturday night event? Can I purchase tickets to See Frankie Beverly and not attend the reunion? can we purchase tickets for Saturday night? I need to book the cruise for 2019, where can i get information? Can you purchase individual tickets to entertainment without buying a package and staying on site? Today, I called the number listed on the website and inquired about purchasing individual tickets for the event. I was told that this information will be posted on the website after July 4. The information will include event schedules and ticket prices. Good morning!!!! Is there a form to complete when booking? I called the phone number and didnt get an answer. Please send me information for 2019. When will tickets go on sale for this years show? Individual tickets. Hello- tried to call several times to book and did not receive an answer..
Is there a form to complete when booking? I called the phone number and didnt get an answer. Ditto on Paula’s question. Would like to purchase individual event or access tickets as soon as possible. Can we purchase individual tickets? instead of a package deal. Hello, I live here in Orlando and would like to attend the Gospel show on Sunday and possibly the Morris Day, Cameo shows. How do I get tickets for the concerts only? When is Maxwell performing? Thoroughly disappointed by the comments of ex comedian J. Anthony Brown on Steve Harvey. Tearing down icon Tom Joyner. I will forever be a fan of Tom Joyner. So sad that Buffalo chose Steve Harvey (chaos show) over Tom.